According to PestWorld.org, termites cause more than $5 billion in property damage each year, which is why at Sure Thing Pest Control, we have two highly effective defense systems to protect your home. Both systems quietly eliminate the pests from your property providing The Sure Cure. If instead, you’d rather learn more about the wood-chewing pests themselves, then please visit our Pest Library. The two systems we offer to protect your home or business from termites are The Hex-Pro® Termite Baiting System and the Termidor® system. We offer these two systems so homeowners have the option to choose how termites are eliminated from their property. No matter if you’re a homeowner who wants to see quick results or one who wants an environmentally responsible solution, our process will provide you with The Sure Cure for termites. You can learn more about each system’s effective process below. When looking for an environmentally responsible, high-quality defense against termites, the Hex-Pro system is the best solution. This particular system is less invasive than liquid treatments, and the Shatter™ termite bait found in the Hex-Pro System has been effective in controlling termites for over 20 years. It starts with a professional inspection of the home for termites. Hex-Pro stations are checked regularly for signs of termite activity. When termites are found in the Hex-Pro stations, they are transferred to a bait cartridge placed in the stations. The bait cartridge contains Shatter termite bait. In cases where baited auxiliary Hex-Pro stations are installed immediately, transferring termites is unnecessary. Termites feed on the Shatter termite bait, tunnel back to their colony, and send their nestmates back to feed on the bait. Generally, after several weeks, the termite colony declines and eventually is destroyed. 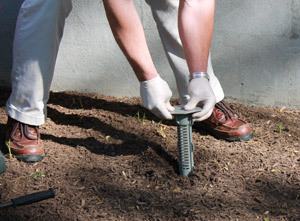 Termidor binds tightly to the soil to create the “Termidor Zone.” Since this protective termite treatment zone is undetectable to termites, termites can’t avoid it and will not try to find a way around it (as they can with repellent termite treatments). 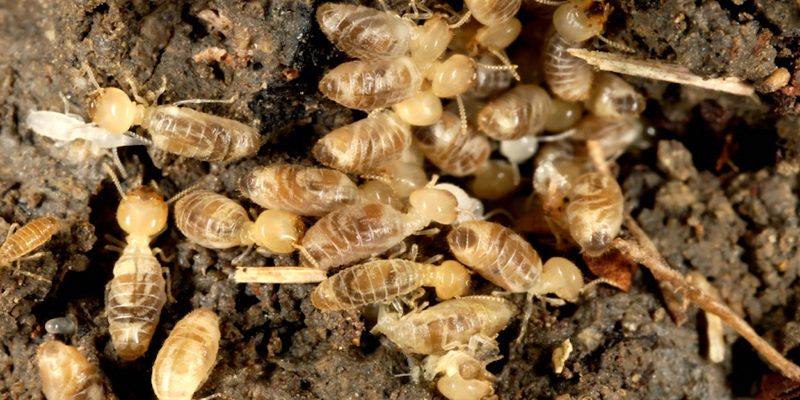 To control drywood termites, your pest professional may apply Termidor DRY Termiticide directly into termite galleries to treat drywood termites and termites in structures or objects not connected to your home. Unlike liquid applications, Termidor DRY does not add moisture to wood.